Face/Off, the guiltiest of guilty pleasures. Three Cage movies here. I didn't even realize. Random.org being a little too random. 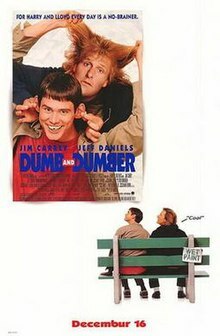 Dumb & Dumber doesn't get the credit it deserves. Belongs in the upper echelon with the other comedy greats. 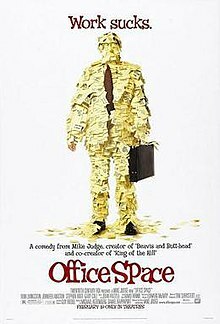 I don't know if I'd go that far...I still like it, but it's the sort of movie that tumbles further down my list of great comedies every year. 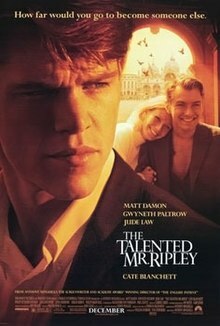 The talented Mr. Ripley was a fantastic movie. Needs more love. I'm as baffled as you are, especially considering the films it's up against. Have people not seen it? 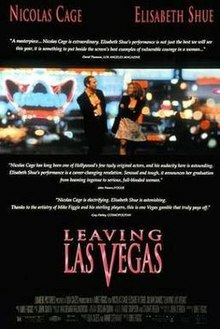 I always thought it was a highly regarded film? I need to rewatch Jacob's Ladder. I was in the middle of an ecstasy binge when I popped that DVD in. I don't remember the plot, but the imagery remains, and that stuff was good. Apart from a few trippy visuals my recollection of the film has gone out the window. it was so close for Jacob's Ladder. Incredible.